The loud incessant clanging of cymbals and banging of drums startled me from my afternoon siesta. Momentarily disorientated, my drowsy head took a moment before it registered where I was, our recent spate of bus journeys had blurred the lines between the cities and towns we’ve stayed in. La ciudad blanca, The White City. We had arrived a couple of days prior, intending to make this a longer than usual stop to fit in another week of Spanish lessons. 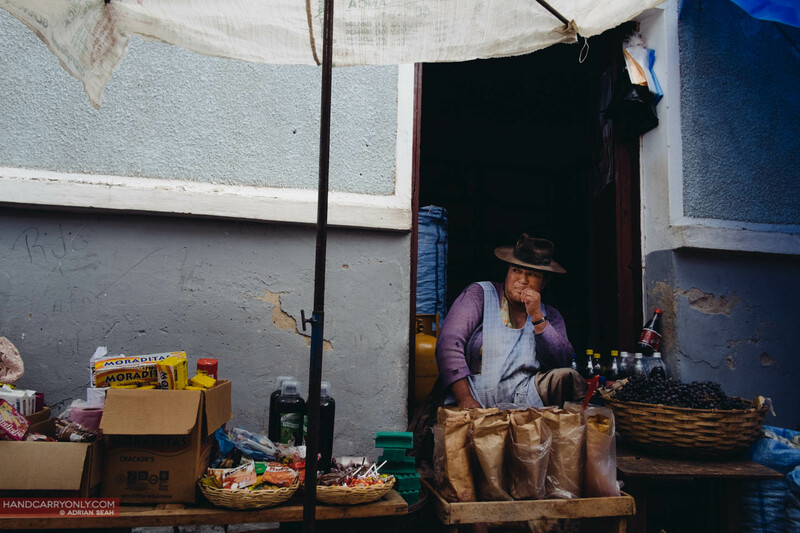 The cultural capital of Bolivia and named after revolutionary leader Antonio José de Sucre, the city of Sucre is chock full of colonial architecture and a is rightfully a UNESCO World Heritage Site. Perched high up at an elevation of 2810m, the altitude blesses the city with a cool temperate climate all year round. I shock off the remnants of sleep and wandered over to the window, where the celebratory marching band could be heard just round the corner. Not having a clue what the whole thing was about but not wanting to miss anything, I grabbed my camera and ran out the door. What greeted me was an absolute riot of colour and costumes, a huge parade of people dancing with multiple marching bands, each trying to outdo each other. Little old ladies in sequins and flashy costumes, men in mythical monster outfits, everyone was just dancing and waltzing their way across town. Saint John of God, a 16th century Spanish/Portuguese saint and inspiration behind the worldwide charity Brothers Hospitallers of St. John of God, formed by his followers after his death to care for the sick and suffering everywhere, and in particular, those afflicted with mental illnesses, was having his feast day celebrated in Sucre, to great aplomb. We followed the procession up Calle Junin and towards Plaza Alto de la Alianza, walking though a part of town we hadn’t yet visited. Like a noisy river of gyrating and swaying glitter, the procession flowed uptown with huge crowds of people following alongside. The dark clouds above threatened above but not a drop fell.